WOW! WAIT 'TLL YOU SEE THIS HOME! 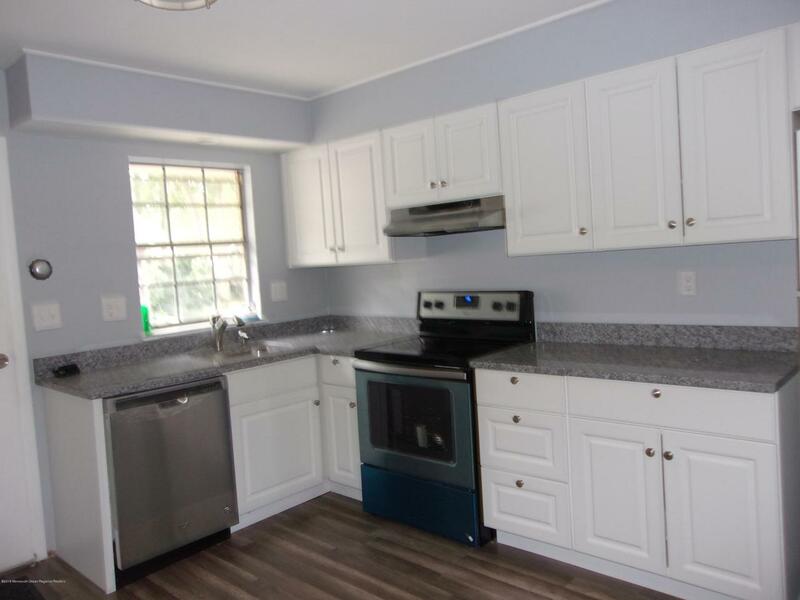 BEAUTIFULLY REDONE KITCHEN WITH WHITE CABINETS, GREY GRANITE COUNTER TOPS AND STAINLESS STEEL APPLIANCES. THE WOOD LOOK FLOORING COMPLIMENTS THE DECOR AND IS CARRIED THRUOUT THE HOME WITH THE EXCEPTION OF THE BEDROOMS WHERE YOU'LL FIND LOVELY NEW CARPETING. THE BATHROOM SHOWS OFF A LARGE NEW VANITY AND TOILET. THE ENCLOSED PORCH OVERLOOKS A PRETTY TREE LINED COURTYARD. SO COME AND SEE FOR YOURSELF WHAT THE GOOD LIFE IS ALL ABOUT IN THE VILLAGE OF SEVEN LAKES! Listing information © 2019 Monmouth-Ocean MLS. Listing provided courtesy of Michele Rinaldi of Ridge Realty.